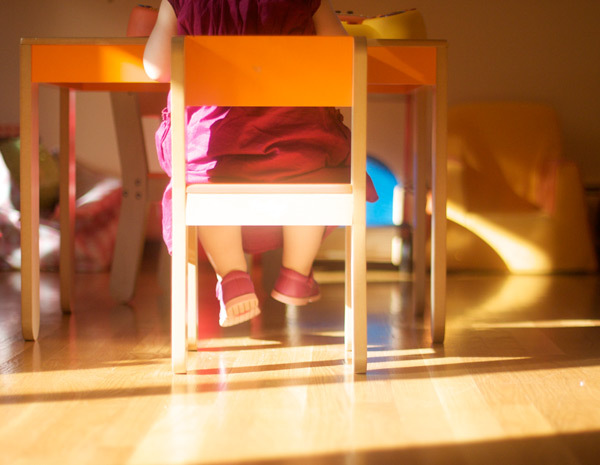 Along with cookie and wow, “A table” (The French expression a cook uses to call the family to the table for lunch or dinner) are right now two of Lulu’s favorite words. It’s really too funny! She probably does not yet know exactly what the expression means, but she surely knows that it involves food–and no doubt that she likes this part very much. Mind you, I am pretty sure that in the midst of it all, she always has the hope that there will be cookies on the table too. But instead, today–and yesterday too–we had apricots at home. If you are anything like me, you must be enjoying apricots at the moment. They are beautiful and tasty. This year, I am also happy to report that I remembered to freeze some, for the times when I crave apricots and cannot buy them in the store. Some ended up inside a clafoutis (a combination of this one and that one) while others…well, that will be for another day. Great post with an amazing looking dessert! I adore the shot if LuLu at the table. Too cute! I wish I had known they freeze so well! The apricots here are not looking too good anymore– guess the season’s already over. Ah yes, freezing the apricots is a splendid idea. I always seem to forget to do so…I’ll keep this lovely dessert in mind though to help me remember. And, I agree with all that the photo of Lulu is precious. beautiful. helps me when i’m feeling blue about not being in France yet. thank you! Et je me joindrais bien volontiers à la table pour déguster ce clafoutis ! Clafoutis is just about my favourite breakfast ever… thank you for sharing– gorgeous photos as ever (and I can’t wait to try it with apricot!). 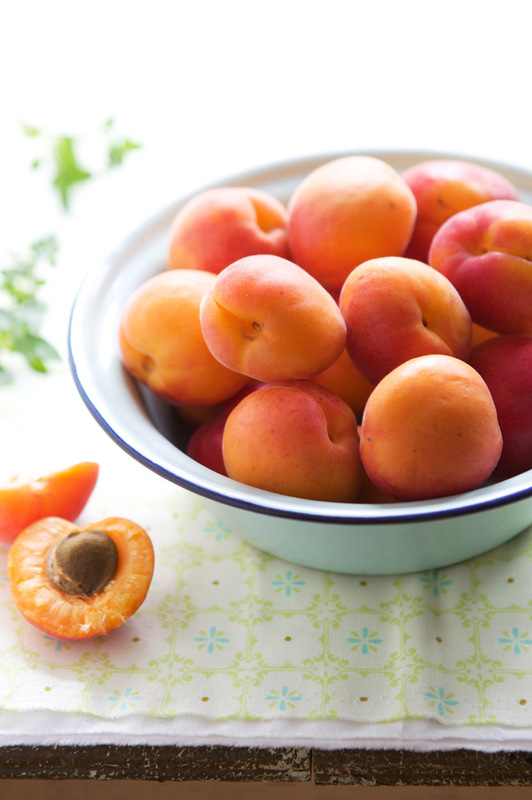 just remembered…….freeze kernels with the halved apricots and when you use them make a syrup with the kernels in for even more apricot flavour. I did it once years ago and it was wonderful. Lovely recipe…….but why does clafoutis sometimes turn out like leathery, flat stodge? can’t figure it out! any ideas? Apricote it is my favorite fruit, but I never prepared anything except jam. The photo of Lulu is beautiful as always. Love the photo of petite Lulu’s feet! It’s me again…just re-read the post…what was that “hint!hint!” about cravings? Are you expecting another little wonder??? gorgeous, gorgeous clafoutis! gosh I cannot believe Lulu’s grow so old! I have a hard time finding the recipes – can you please show us where they are posted? 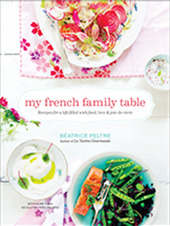 Your pics are beautiful and I really want to make this but cannot locate where it is-beaucoup merci! Gorgeous. I don’t think there’s more to say. I love apricot clafoutis. Lulu’s picture is so cute. Very nice picture of Lulu! I made clafoutis once about a year or so back using your recipe.. but I never got to taste it properly.. because, instead of sifting powdered/icing sugarover it, I accidentally poured baking soda into the sieve and because baking soda is heavier than icing sugar, there was huge mass of it on the clafoutis!! One of my worst baking mis-adventures!! Oh yes, apricots. I recently bought a 22lb. box at a local farm stand for 15.00. Quelle surprise! I’m slicing and freezing them as well. Your clafoutis looks divine. Another bébé? Oh yes, freeze freeze. It’s the time to do it! Looks wonderful. How do you freeze them? I wash them and pat them dry. Then cut them open into two halves, remove the pit and place them in freezing bags, next to each other, and put them flat in the freezer. Then, once they are frozen, transfer them into a box that I keep in the freezer. Je l’ai déjà dit, mais je le dis quand même, I just love your blog! Les photos, les textes, l’esprit, j’ADORE! Superbes ces abricots! En clafoutis c’est encore meilleur. Did I miss the recipe? I must be loosing my mind! Lulu’s clothes are so adorable! What brand(s) are they? I would love them for my little girl who is a year. Tks! 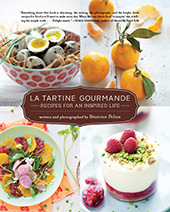 Gorgeous images and fantastic food! I found and captured the other daya flower just like your pink one here, only in white, in the middle of the city, on a church square. Do you know its name by any chance? 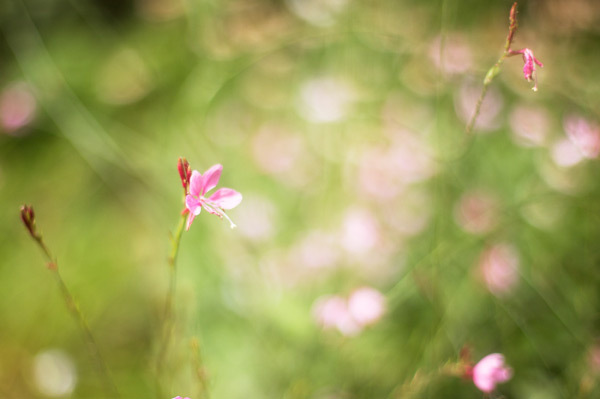 The flower is a gaura siskiyou pink. 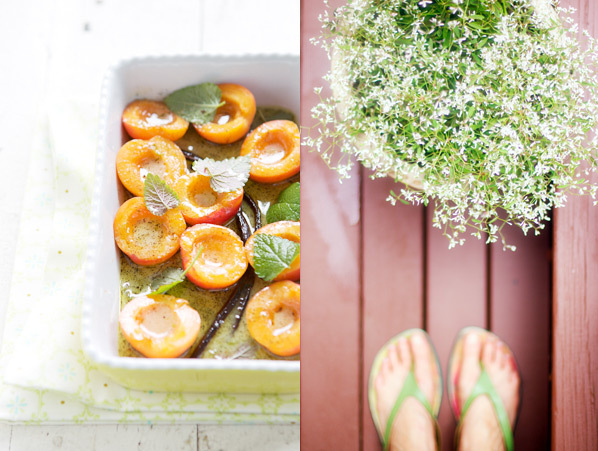 And yes, these are my long long narrow skinny feet!…..
Those apricots look so fresh and juicy! I love your pictures.. they are always so beautiful. Those apricots look fantastic! 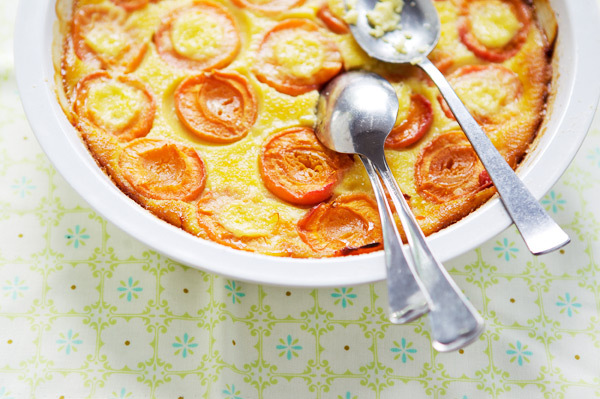 I have never thought to make an apricot clafoutis, although I’m knee-deep in apricots lately. I’ll have to give it a try! As I type, a pot of simmering jam perfumes my kitchen. It’s my most made jam, adding dessert wine doesn’t hurt either. I have a few apricots leftover, so on to clafouti! if you like italian way of life and italian cuisine, take a look at my blog http://italy-recipes.blogspot.com/ and, please tell me what do you think about it. I have enjoyed reading some of your recipes. I love the photo of your daughter’s feet. Too cute. I didn’t realize you could freeze apricots. I will have to remember this next time!